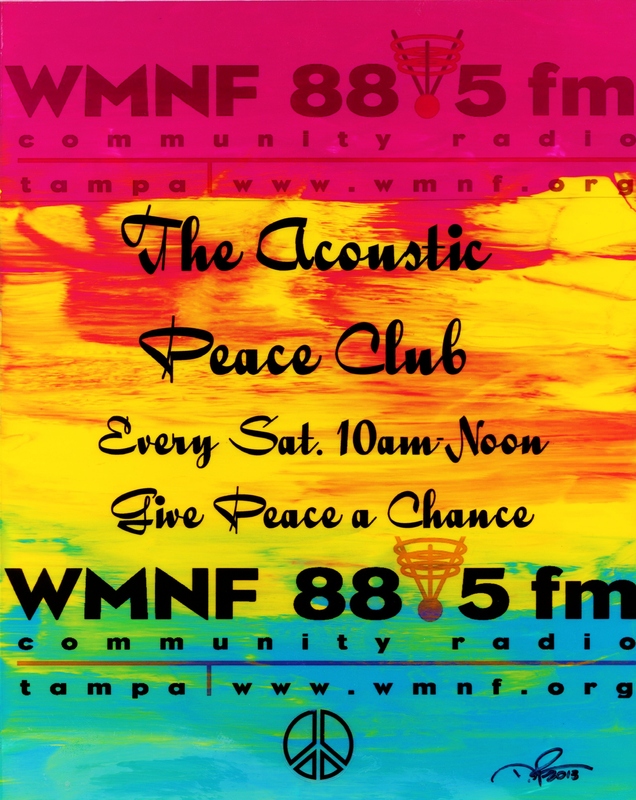 The Acoustic Peace Club offers up a blend of acoustic folk – with such great artists as Doc Watson, New Grass Revival, Indigo Girls- such traditional greats as Pete Seeger, Arlo Guthrie and John McCutcheon and topically important artists such as Emma’s Revolution, Ani DiFranco and Si Kahn. 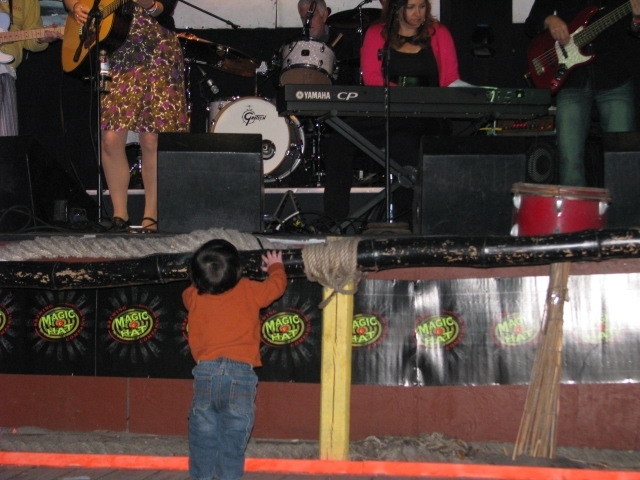 We pull a lot from 70’s and 80’s Folk & Acoustic- from Blues to Bluegrass- and we do it all with a big heart. We include as many requests as possible and love hearing from listeners in the Bay area and around the world. 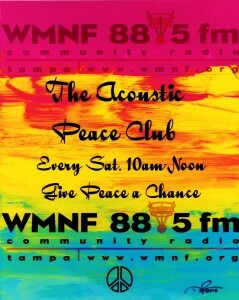 This Saturday is the fundraiser for the Acoustic Peace Club. 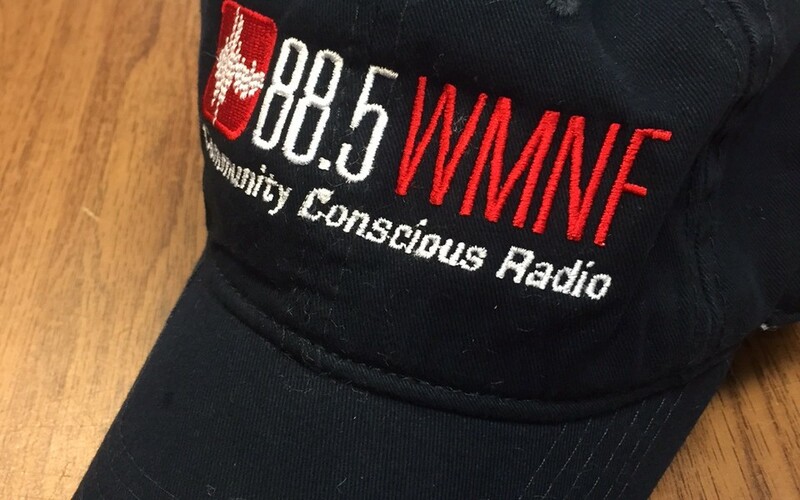 In fact, our show begins the week-long fundraiser for WMNF. I cannot emphasize how important that this is to the health of the radio station. Please call in and make a donation at (813) 238-8001 beginning 10 a.m. on Saturday. Also, for an $60.00 pledge you can get the Limited Edition (there are only 35) Acoustic Peace Club T Shirt! Give $10 per month in our circle of friends and you can get a CD with your T Shirt or tix to a great concert. Please give!!! 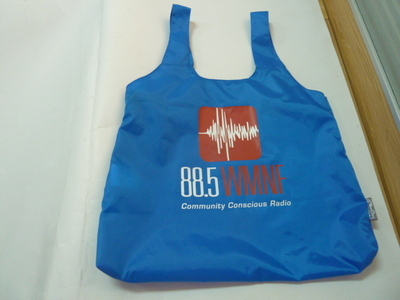 A pass for one person to every WMNF event for 13 months. Can’t afford a one time $500 contribution, divide it up into 12 installments of $41.66 a month or join the Circle Of Friends and get a pass for life for the same monthly contribution. 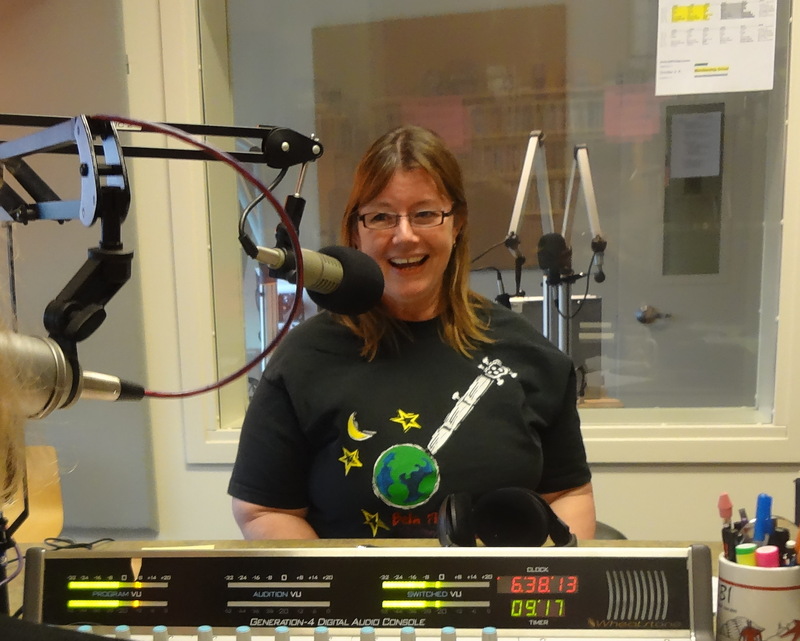 Jeannie Holton, a life-long Tampanian, has been doing a show on WMNF since February of 1980 starting with The Women’s Show, moving to Bluegrass and settling in with Folk Music. WMNF has really defined my adult life in Tampa. 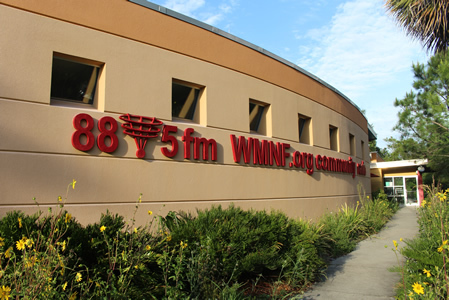 My career was in local commercial media, but my heart has always been with WMNF. 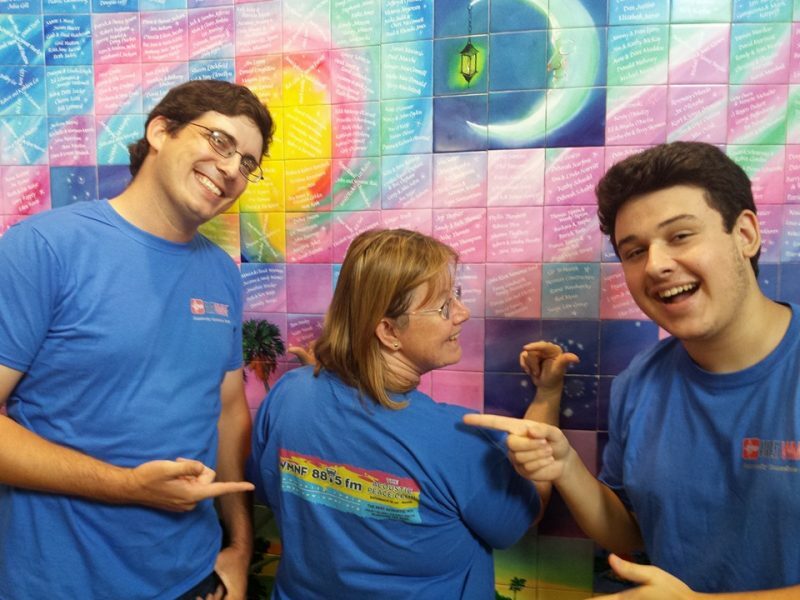 I can’t imagine this community without it – or without you! I love making time for our wonderful local musicians and I love doing interviews! Ian DeBarry is a life-long Polk County Resident and has been co-hosting the show with Jeannie for almost five years. He is an "Old Soul" who loves Pete Seeger and the traditional organizing songs. 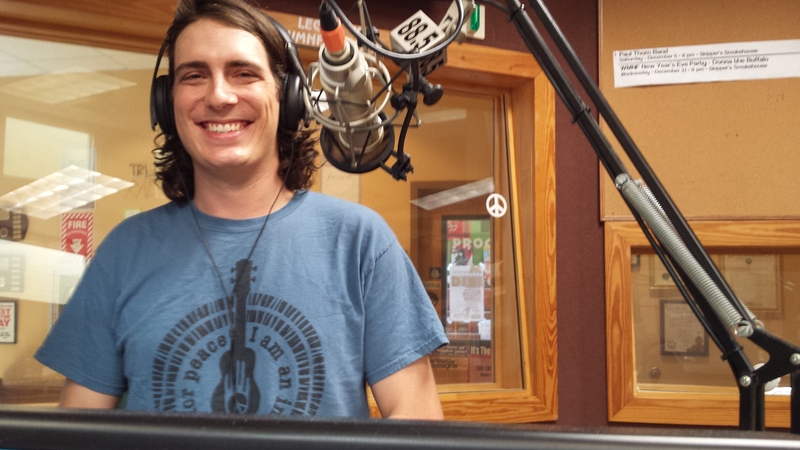 Ian also serves on the WMNF Board of Directors.